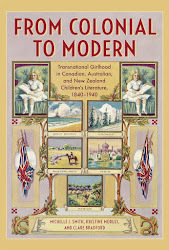 It has been a challenge to keep the focus of this blog on the topic of girls' literature and culture. Every day there are dozens of issues that I feel compelled to write about, but I've not made the decision to blog about "everything that bothers me and what I think of it", rather to focus on anything that relates to girls, femininity or children's books. One thing that has been immensely challenging to the idea of regular blogging during the past 8 months has been the illness of my mother with mesothelioma. It is a rapid, debilitating disease that makes relentless progress regardless of treatment. 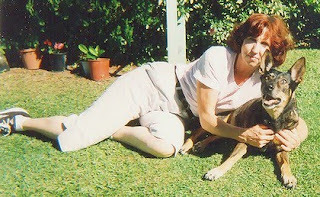 My mother passed away on 8 January 2010, after diagnosis in April 2009. She was only 64. She was a central part of my life. I spoke to her every day. And it is hard to adjust to knowing that she won't be there on the other end of the line when I call home. In the shellshock of the moments after my Mum had finally gone, I wrote an opinion piece for The Age newspaper. My family had not had time to be angry about the fact she had suffered through a disease that she should never have contracted. A disease that was the result of company greed, despite the known risks of asbestos decades before she was exposed to its deadly fibres. My mum taught me to read before I went to school. It is hard to know that the first piece I had published in a newspaper appeared because she is now gone. Congratulations on your piece, sorry that your Mum is dead. Really liked your Alice in Wonderland review/essay/opinion piece. Michelle, I can only imagine the courage it has taken to share this news. I truly don't know what to say except that, as one of your students, it is obvious that there is a part of your mother's nurturing, supportive nature which is very much alive in her daughter. I am sure she is very proud.